A pet can be a children’s best friend. 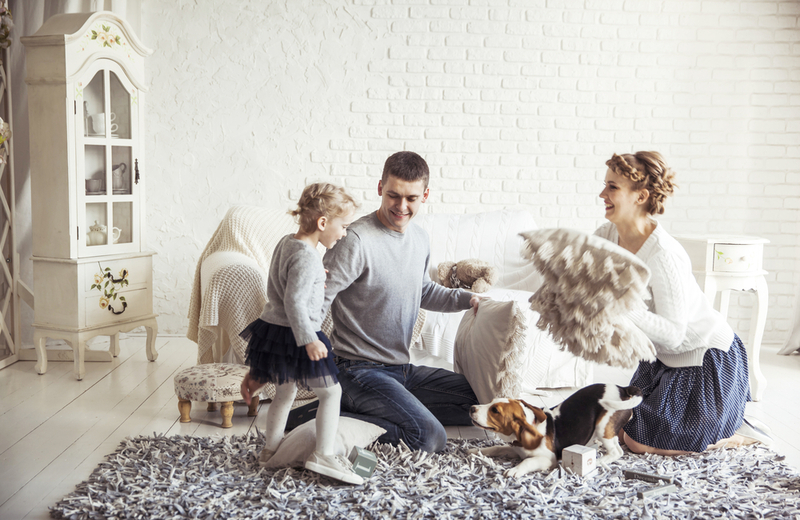 Whether your pet was a member of the family before your child arrived, or maybe you are considering adding a pet to your family, it is good to consider few things in advance like for example: safety, allergies and your children’s potential fears are important factors to consider. ALWAYS Remember the first rule for pets and kids: Never ever leave a toddler alone with a dog or cat, no matter how sweet and gentle the animal is. Rule number one is always to keep an eye on the relationship between the child and the pet. There is always a chance to have some kind of impatience between them. Whether the child wants to play and pinch the animal, or the animal itself has too much energy in it to spend it. it’s never known what reaction the animal will have. Divide the pets and kid(s). It is desirable to use a port between, for example, the dog and the room where the child sits and plays. This is a good chance for the dog because once after chasing his own tail he only wants to sit and rest. Believe me, the dog will be grateful. Teach your dog some new tricks. It would be nice to know some basic commands. Under these commands may fall something like: “Sit,” “Down,” “Stay,” “Come,” and “Off” (a signal that he needs to get back on all fours if he jumps on someone). Calmness counts. Jumping and yelling can rile up a dog and even cause him to snap (especially if he’s the nervous sort). Sneaking around is bad idea. Teach your tot to approach your pooch from the side — not from behind. Kitties prefer to keep all four paws on the ground. They don’t want to be picked up like some toys. It’s best to let sleeping dogs lie. Explain to your child that when the dog is sleeping, he needs to be left alone. The same rule applies when any animal is eating or, in the case of dogs, gnawing on a chew toy. Some children can have allergies to pets that produce dander. Dogs and cats are the biggest culprits for these allergies. If you notice your child has a runny nose, sneezes, has itchy eyes or hives after handling your pet, take him to a doctor to evaluate the allergy. Fish are a good choice for children with an allergy.